It's a lot of fun to go to the major sporting goods store and browse through the aisles of fishing gear. However, once you get over the sticker shock, you might decide to build some of your gear yourself. 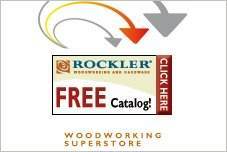 Free fishing plans are available to create almost any kind of fishing gear or accessory you need. 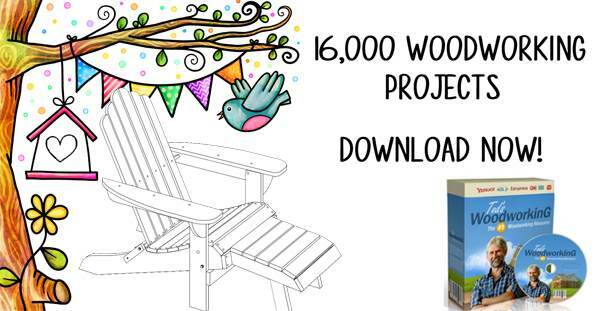 There are even plans to build a wooden reel, a duck boat and oars to propel your boat. Create lures, a tackle box or build a boathouse using plans that provide easy-to-follow directions. These projects are great for the angler to build in the off-season while waiting for the fishing season to begin. Learn to tie lures and create an old-fashioned, but serviceable fishing rod. Get the kids involved with your new hobby and they will be eager to cast a lure when fishing season opens. 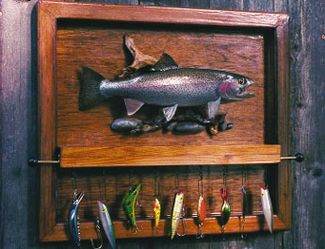 This plan is for a fishing lure rack that looks great hanging in an office or den and keeps lures in view and well organized. Here is a wood project that has 7 steps and helpful tips for building a universal boat oar. Keep your boat sheltered from the outdoor elements by building a boathouse out of pressure treated wood. Instructions for building a vintage style tackle box where there's a place for everything. Build a strong and sturdy wooden duck boat using these plans.